Oyaji has been in Japan for a few days enjoying the nice weather before the summer heat hits. 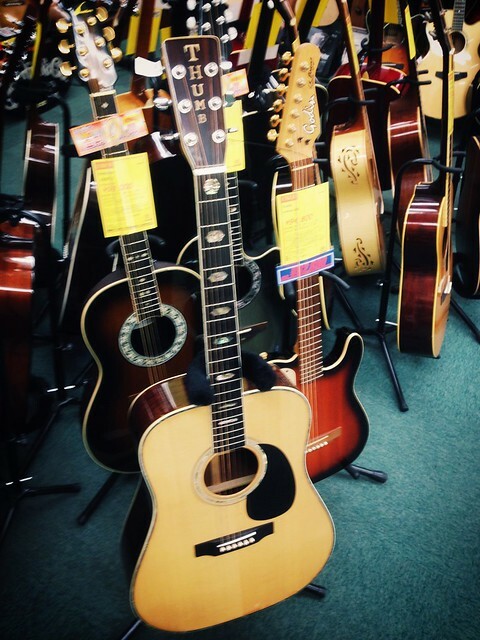 A tour of the main guitar stores in the Tokyo area was uneventful with very few interesting old Japanese guitars up for sale. Yesterday however at the Yokohama Ishibashi there was something. 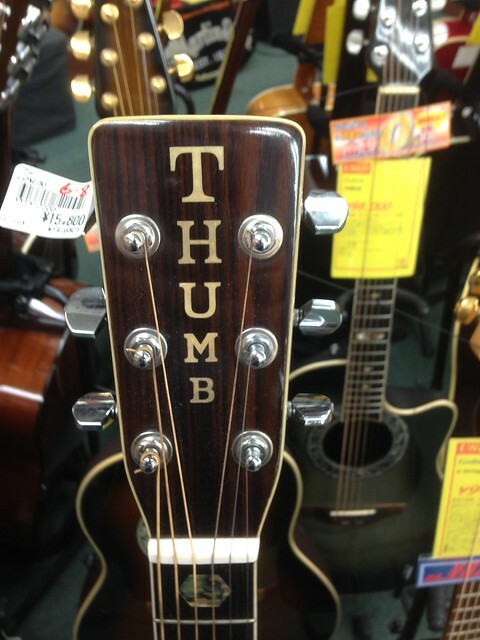 An old acoustic with some cloudy lacquer and THUMB in large round font like an old Martin. It was labelled as "Junk" since the high E string sits low in the nut and buzzes on the first fret in open position. Other than that the action was perfect and there were no fatal body blows to worry about. Since it came with a hard case it was hard to say no to this oddball so now I am have a new Thumb. 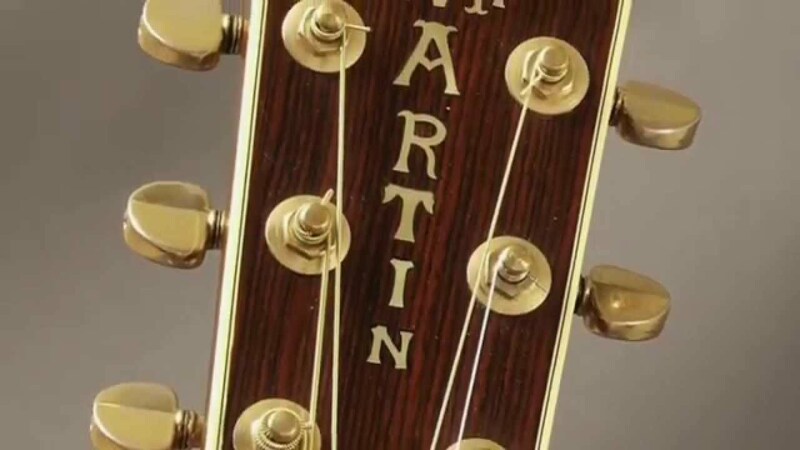 I always wanted an acoustic in this Martin style but never found one that was affordable or sounded good. A trip to Ray's Guitar Spa in Singapore should sort out the nut and then it will be good to go.